Transparent green glass chippings. Colourfast and waterproof, use this product for exposed "glasscrete" worktops, in polished terrazzo paving, resin bonded applications and harling. 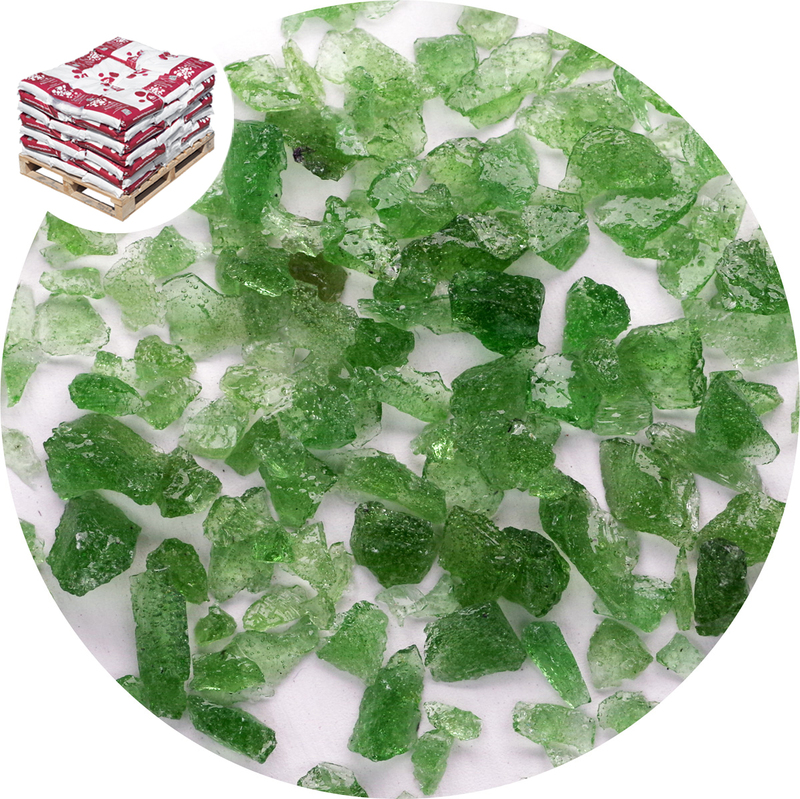 Transparent green glass chippings. Colourfast and waterproof, use this product for exposed "glasscrete" worktops, in polished terrazzo paving and resin bonded applications. 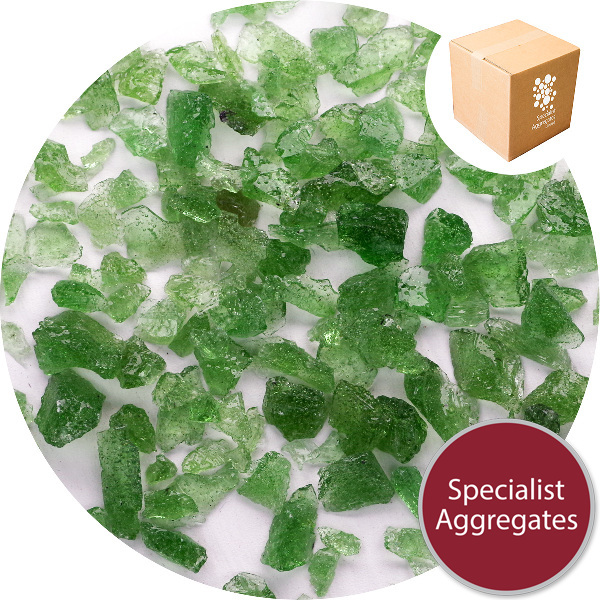 We would recommend the larger Green Enviro-Glass Gravel (Ref 7412) as a memorial topping. This product is normally supplied in a dry condition but please specify when ordering if this is critical to your application. 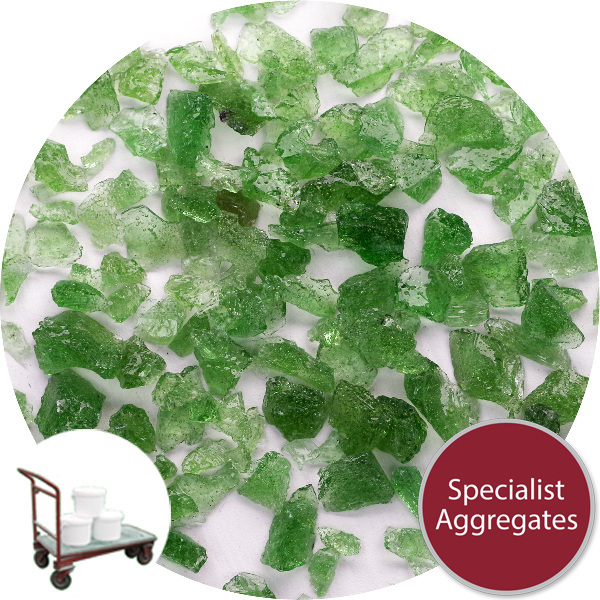 Aggregate Type & Source: Recycled glass aggregate, manufactured in the UK.